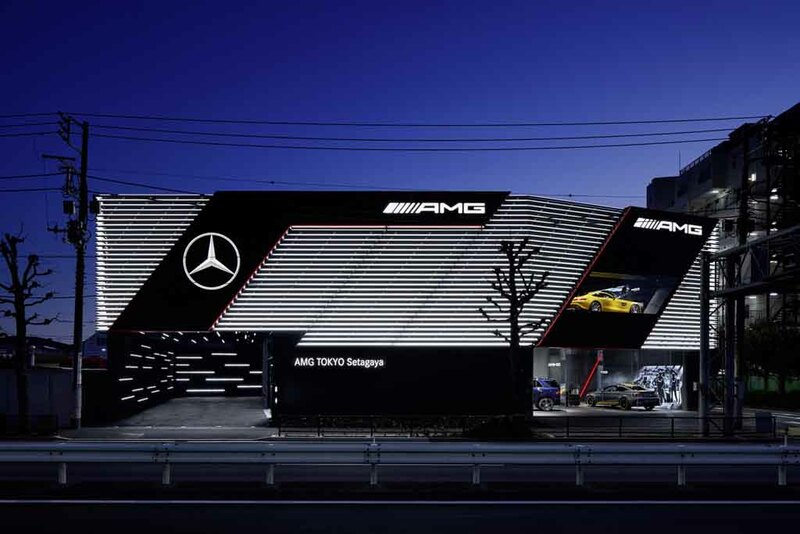 Mercedes-AMG has launched a two-storey showroom in Tokyo that is claimed capable of delivering the customers an unique buying experience. The luxury outlet is focused exclusively on the sports cars and on the performance brand as well. Also, it can stage a real time motorsports situation. 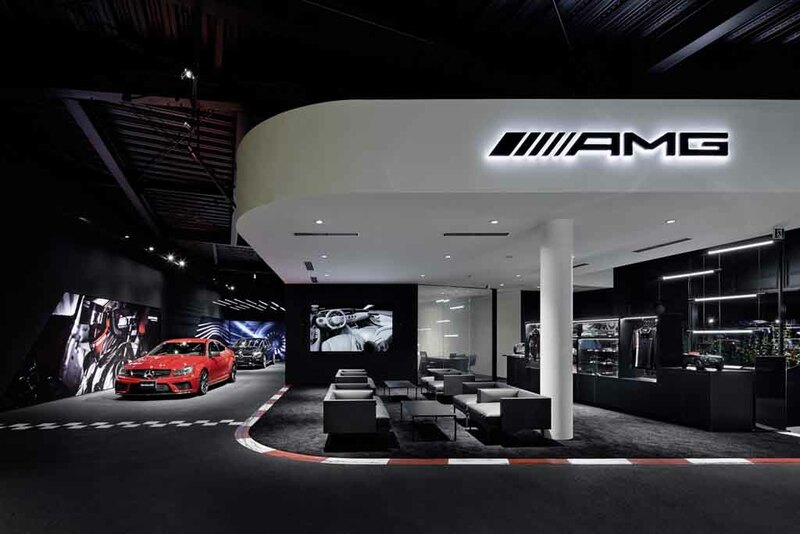 There are more than 400 AMG Performance Centres in 40 countries across the world established since 2008. In India too, there are 5 AMG Performance Centres. But the Tokyo dealership is claimed to be very unique among them all. As the company describes, this showroom is going to be a role model for the future AMGH showrooms in other major cities across the globe. This year, another such Mercedes-AMG showroom will open in Sydney, Australia. 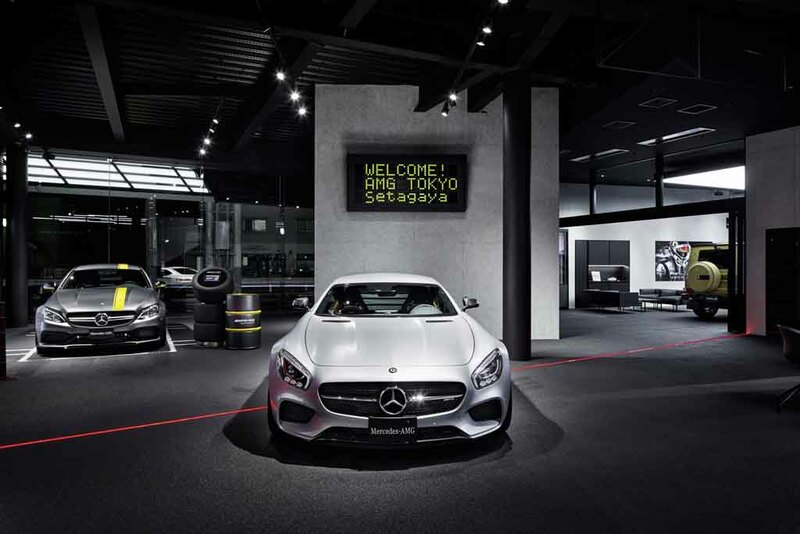 The new AMG showroom in Tokyo comes with a total area of around 1,000 square meters. Apart from selling cars, this showroom offers the customers a chance to learn several things about latest AMG performance models, their technical bits, the AMG Driving Academy, etc. The showroom is an unique instance of the blend between car dealership and industrial design. The exterior of the showroom gets LED ornamentation that creates a stunning and dynamic lighting experience. It also features lounges, boutique and motorsport exhibits. 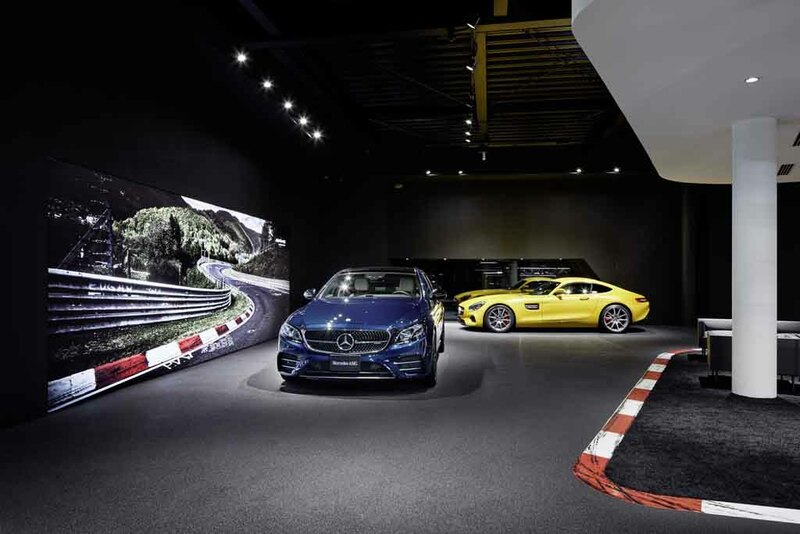 The most exciting feature is the power wall inside the building that gives the customers a chance to configure and customise Mercedes-AMG performance cars, according to their personal preferences. There is a sound counter as well that lets them experience different engine sounds. Interesting, wasn’t it? At the display arena, the vehicles sit on asphalt, an attempt to deliver the true motorsport event like feel. The white arena contrasted with the black asphalt is situated at the upper storey of the showroom. The German automaker believes that such showrooms will change the car buying experience of the customers.